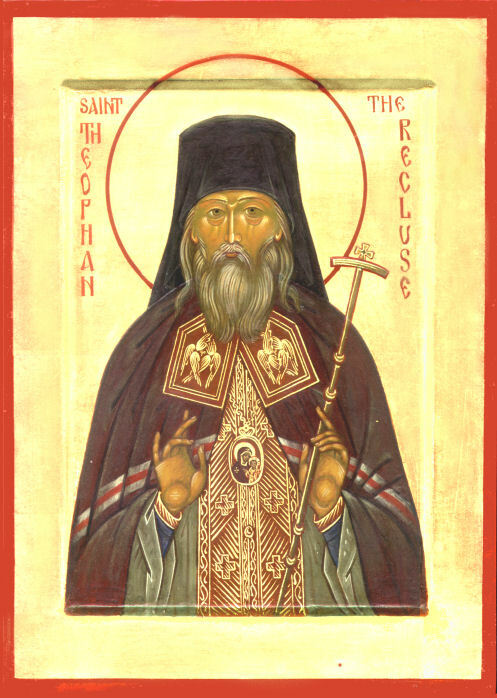 St. Theophan the Recluse: Woe to those who are rich . . .
Woe to those who are rich, who are full, who laugh, and who are praised. But good shall come to those who endure every wrongful accusation, beating, robbery, or compulsory difficulty. This is com­pletely opposite to what people usu­ally think and feel! The thoughts of God are as far from human thoughts as heaven is from the earth. How else could it be? We are in exile; and it is not remarkable for those in exile to be offended and in­sulted. We are under a penance; the penance consists of deprivations and labors. We are sick; and most useful for the sick are bitter medi­cines. The Savior Himself all of His life did not have a place to lay His head, and He finished his life on the cross — why should his followers have a better lot? The Spirit of Christ is the spirit of preparedness to suffer and bear good-naturedly all that is sorrowful. Comfort, arro­gance, splendor, and ease are all foreign to its searching and tastes. Its path lies in the fruitless, dreary desert. The model is the forty-year wandering of the Israelites in the desert. Who follows this path? Ev­eryone who sees Canaan beyond the desert, boiling over with milk and honey. During his wandering he too receives manna, however not from the earth, but from heav­en; not bodily, but spiritually. All the glory is within. This entry was posted in Sayings from Saints, Elders, and Fathers, St. Theophon the Recluse and tagged Body and Soul, Conceit/Arrogance, Cross, Falsely Accused, Israelites Wandering in the Desert, Laughter, Manna, Old Testament Events, Old Testament People, Penance, Praise, Scripture Epistle of Philemon, Scripture Gospel of Luke, Sorrow, Spiritual Healing, Spiritual Illness, Suffering, Take Up Your Cross, Wealth and Riches on October 12, 2015 by . 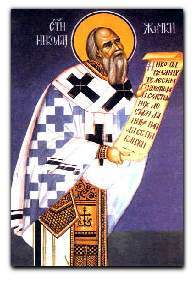 St. Nikolai Velimirovich: Blessed is the man who uses his sufferings, knowing that all suffering in this brief life is loosed on men by God in His love . . . 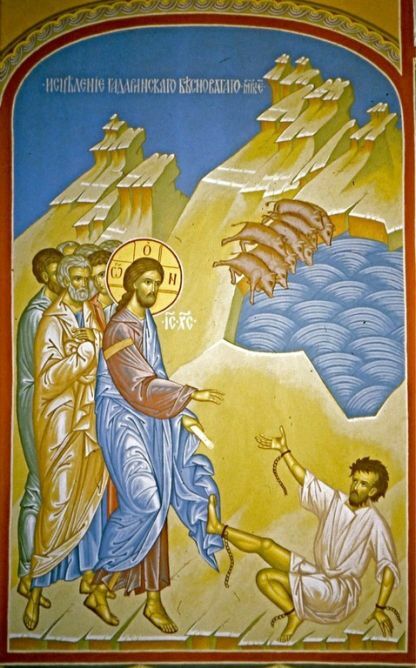 Blessed is the man who uses his sufferings, knowing that all suffering in this brief life is loosed on men by God in His love for mankind, for the benefit and assistance of men. In His mercy, God looses suffering on men because of their sins – by His mercy and not His justice. For, if it were by His justice, every sin would inevitably bring death, as the Apostle says: “Sin, when it is finished, bringeth forth death” (James 1: 15). In place of death, God gives healing through suffering. Suffering is God’s way of healing the soul of its sinful leprosy and its death. This entry was posted in Sayings from Saints, Elders, and Fathers, St. Nikolai Velimirovich and tagged Death, Divine Love, Justice, Justice of God, Leprosy, Mercy, Mercy of God, Scripture Epistle of James, Sin, Soul, Spiritual Healing, Spiritual Tools, Suffering, Why Do Bad Things Happen to Good People on May 8, 2015 by ocqadmin. 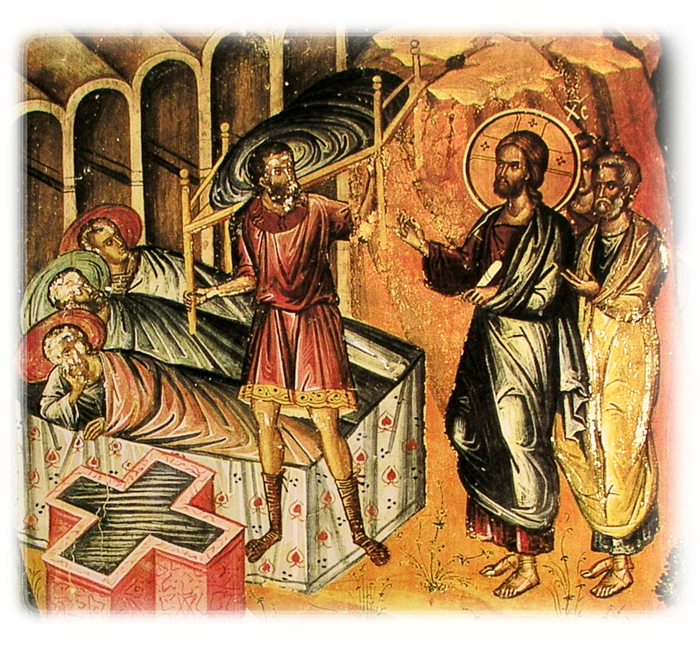 St. Nikolai Velimirovich: What does it mean to take up your cross? . . . This entry was posted in Sayings from Saints, Elders, and Fathers, St. Nikolai Velimirovich and tagged Apostles, Cross, Drawing to God, Enemies, Forsaken, God's Will, Noah, Old Testament Events, Old Testament People, Patience, Patriarch Abraham, Patriarch Isaac, Persecution, Righteous Job, Sacrifice of Isaac, Spiritual Healing, Suffering, Trials on March 19, 2015 by ocqadmin. 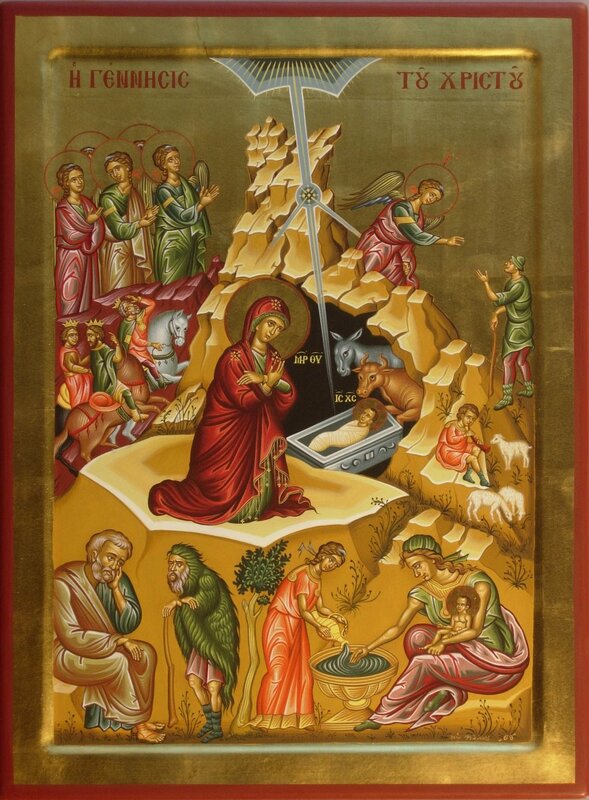 This entry was posted in Sayings from Saints, Elders, and Fathers, St. John of Kronstadt and tagged Angels, Condescention of God, Corruption, God as Creator, God as Savior, Humility, Incarnation, Nativity of Jesus (Christmas), Poor, Scripture Book of Acts, Spiritual Healing, Theotokos, Wealth and Riches, Worship on January 8, 2015 by ocqadmin.